Original poster for the brief. 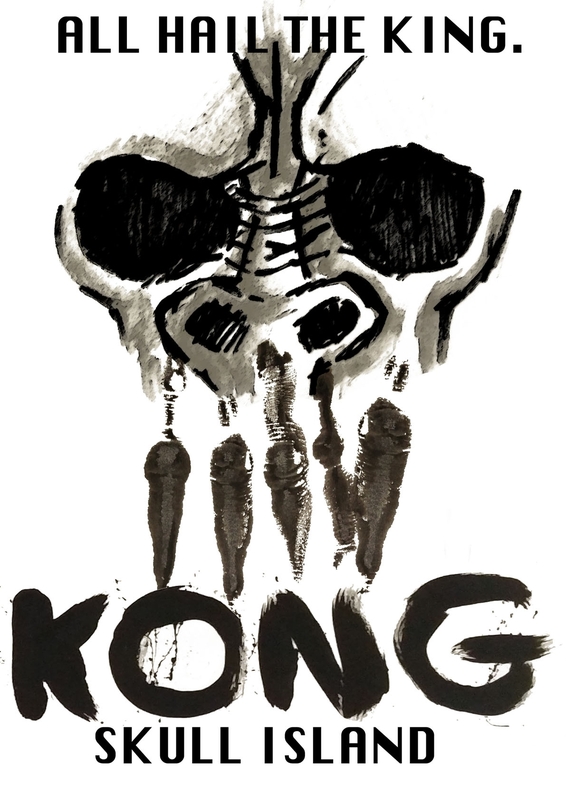 I tried to make it as simple as possible, using the print of my knuckles as though Kong has done a cave painting himself, like his hand print in the trailer. I tried to use the print to resemble the maw of an animal.